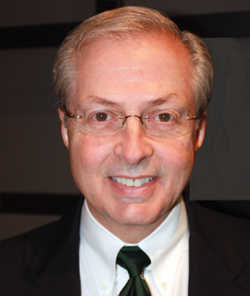 Lawrence R. Kelley is a Brookwood shareholder and a Strategic Advisor to the firm. He is based in Akron, Ohio. Currently a senior executive with the University of Toledo, Larry has a passion for higher education and, specifically, for discovering and implementing new, better and more cost effective ways to help university leaders deliver services and facilities that ultimately benefit students. The focus of Larry’s career has been in financial and administrative leadership in both private business and not-for-profit environments. At Cal Poly, Larry was an executive officer in support of the University’s President. During Larry’s nearly twelve years at Cal Poly, twenty major capital projects were completed with a combined cost of $750 million. The projects included new student housing, housing for faculty and staff, a major stadium renovation, new academic and administrative buildings, a recreation center, and a technology park, among others. At Georgia State University in Atlanta (from 1996 to 2002), Larry was involved in the development of a new recreation center, a second campus outside of Atlanta, acquisition, demolition and construction of a new academic building and an innovative public/private partnership for student housing. Previously, Larry also served in senior leadership roles at the University of Maine, Kent State, Miami University and the University of Akron where he began his career in higher education as Budget Director. Larry has been active in the National Association of College and University Business Officers (NACUBO), the Society for College and University Planning (SCUP), EDUCAUSE, and the Association of Public and Land-grant Universities. Larry also been has been consistently active in community service.